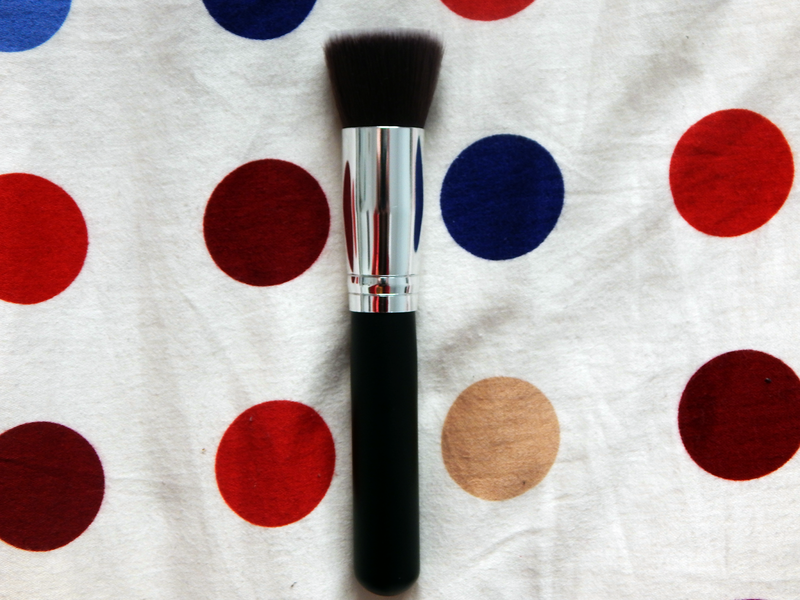 I'm pretty sure that Sigma do a brush that's very similar to this one- basically, it's the perfect brush for applying liquid foundation or even to pack on powder. I use it for my foundation primarily, and it's seriously a super quick way of getting your base done in about 30 seconds! At first I wasn't really sure how to use this one, but now I figured out that it's perfect for applying my contour due to it's angled shape. 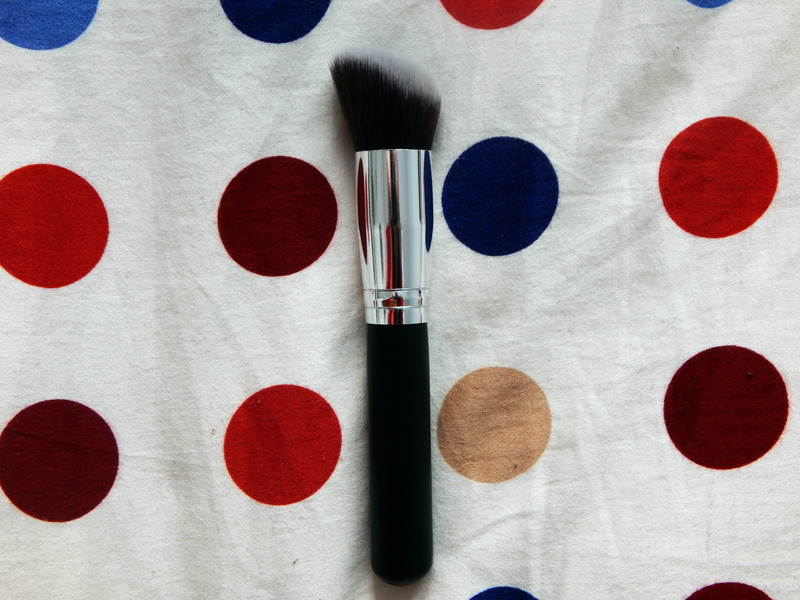 I love to combine this brush with the Sleek Face Contour Kit in order to carve out my non-existant cheekbones- I've been looking for the perfect brush to do my contouring for a while, because in my opinion, the Real Techniques Contour Brush is too small and works way better for highlighting. 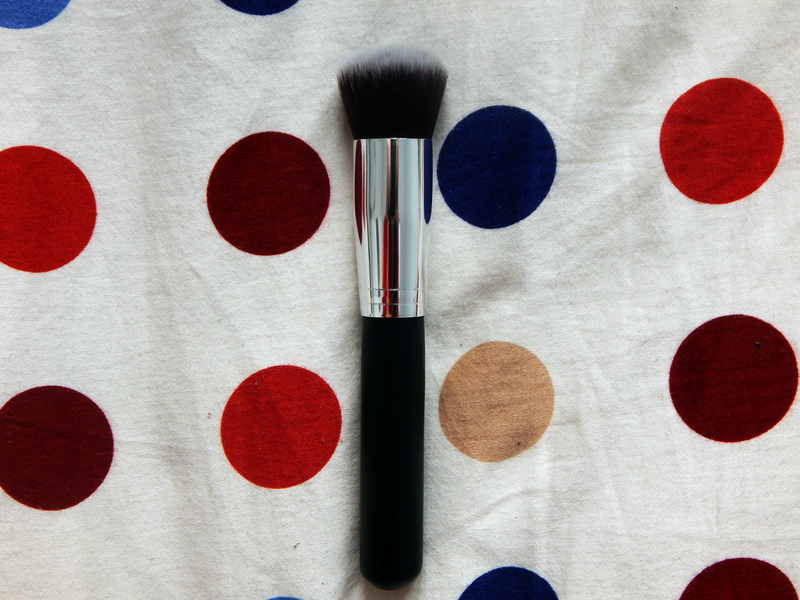 Due to it's domed shape, this brush is brilliant for blending out undereye concealer in a matter of seconds as well as applying powder to the same area afterwards. I use it in combination with the Maybelline Fit Me Concealer or the KIKO Natural Concealer, and it blends out both really nicely. Finally, this brush is very smiliar to the Real Techniques Buffing Brush- not only optically, but also in the way it works. Similar to the flat top kabuki, I use this in order to buff in my liquid foundation, and it's a brilliant and fuss-free way to achieve a beautiful finish in half a minute. 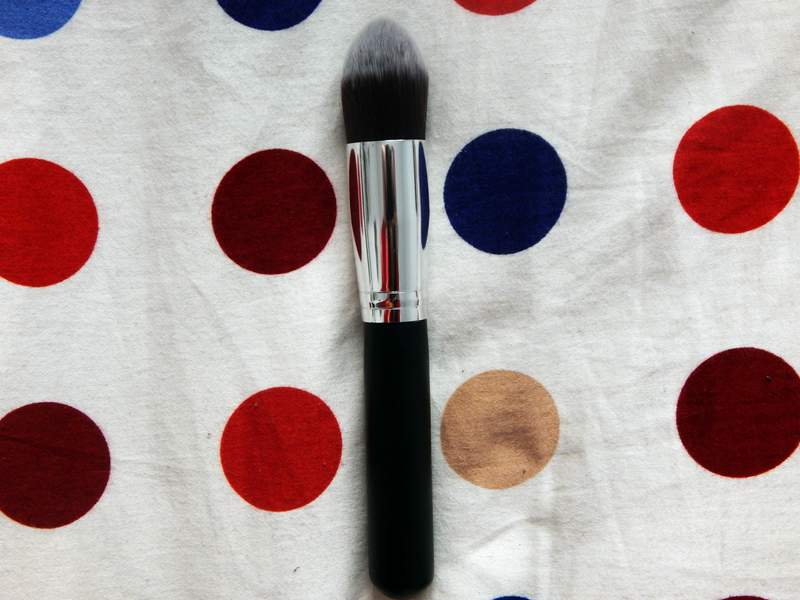 In my opinion, this brush is just as good as the Real Techniques offering, if not a tad softer! For the bargain price, I would definitely order these XCSOURCE brushes again, and I might even look into they're eye brushes in the future. 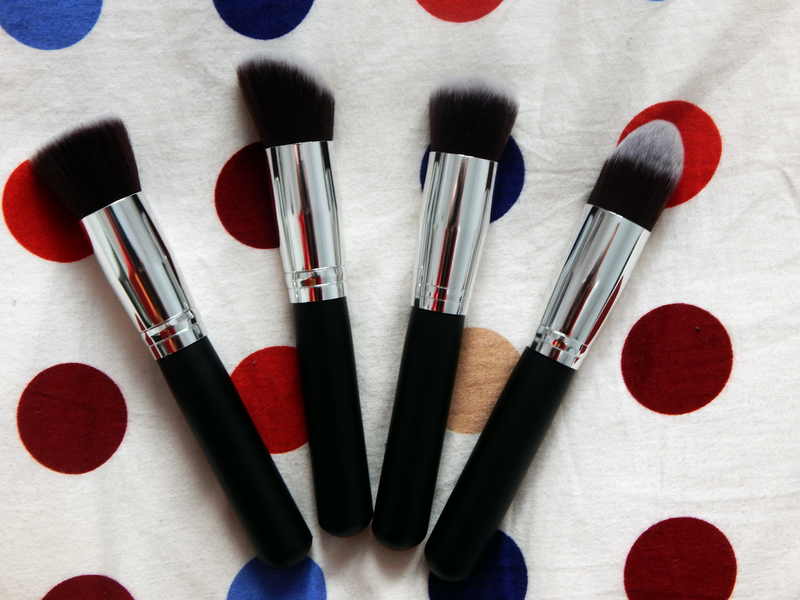 You can check the brand out on amazon, where they offer a number of different colours and sets of brushes for a great price!